Arin Ilejay spoke with Novinky.cz recently. The topics discussed include what the band listens to on tour, the bands success in the USA, the hardest part of touring and much more! Translated from Czech to English. 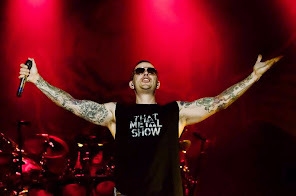 Avenged Sevenfold perform at the festival on June 17 at Aerodrome along with Limp Bizkit, Rob Zombie, Powerman 5000. The band have in 2011 to replace Mike Portnoy, a phenomenal drummer. Did you see him with Avenged Sevenfold play? I have not. But I saw one show with original drummer for The Roar. I remember it as the moment that changed my life. I was impressed, as were all amazing. They played incredibly. It was about eight years ago. The Rev died unexpectedly in 2009. How it other band members remember? He said it was the craziest guy in the world. Still to be heard and kept trying to have fun, like to make people laugh. And the heart of an artist. Type of guy that you liked as soon as you met him, because it was warm. When you meet someone, gave him a deep attention. They all have happy memories. When you come to the band and learned to play all the songs as you approach them all? I wanted to play truthfully, that sounded exactly as I had heard of me. I even studied the records of live performances to see what The Rev made a variation of the recorded partum. Some songs played live a little differently, and that's what I learned. I think the fans at the time wanted to feel that there is still so little. 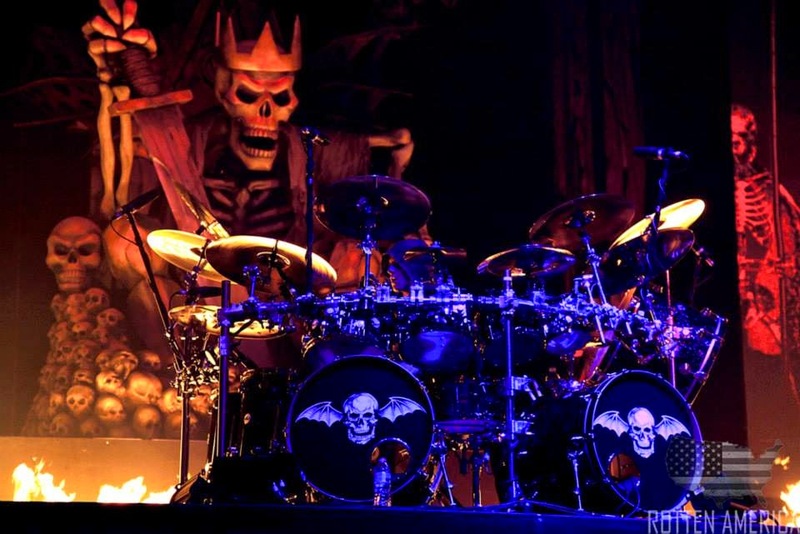 With Avenged Sevenfold playing drums since 2011 but only last year did you become an official member. How did such an event take place? Basically they asked me if I wanted to be in a band forever. If you want to grow old with them. You had to think about it? Absolutely yes. I was wondering how to take the fans. I did not agree, and after a few months to decide that this is too much, and back out. Has this changed perspective for me. Looking at it in the long run, you can invest more to prepare for it. To improve the dynamics of the band, we are more at ease, because now we all know that this is it, that we will be together some time. For all it's an exciting time. I am pleased that the fans makes them happy. Your band is extremely successful in America. What lies its strength? I think the fans. The band worked incredibly hard for many years to get where she is. What became fan base, eventually became family. Fans allow us to go back and bring more and more. Improves due to them and try to produce a more powerful flame that igniting their enthusiasm. Seeing that our music is the common bond that makes people happy around the world, is something special. What's in the band listen to when you're on tour? I like diverse music, so if I had played I heard anything from the other gypsy jazz band the Mars Volta. A lot of us enjoy hip-hop, He gives frequent or punk rock. For musicians, it's the same as other people. Their taste wanders from place to place. In Prague you stop in a European tour. What do you enjoy touring? I love playing for the fans around the world and meet new places. I am glad that we are heading into the Czech Republic. I've never been there, but I know enough people who were with you on a trip or on different missions. You know, people are collected and decide that it will help a community on the other side of the world. All of your country told with enthusiasm, so I'm looking forward. What is the most difficult vice versa? That you are away from your family. Actually the most is probably the fact that you do not have the luxury of constant rhythm of life. Regular sleep on tour missing. Sometimes we sleep until four in the morning. Other times, two in the afternoon. Otherwise, it's okay, a little homesick us, but when you go on the stage, it's not so bad.